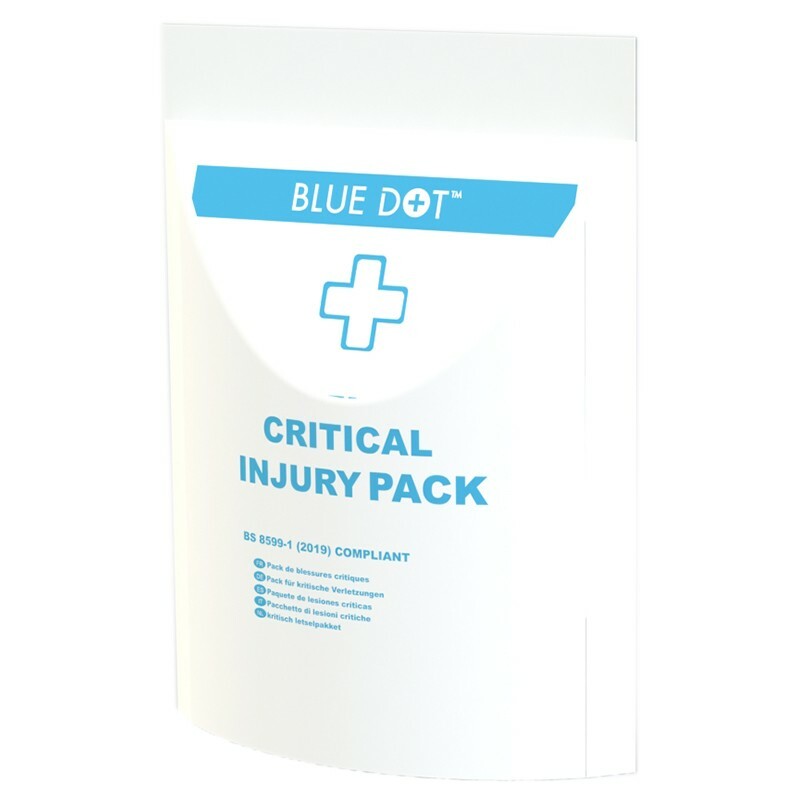 The BS 8599-1:2019 Critical Injury Pack includes a tourniquet and haemostatic dressing for use in high-risk environments. The Critical Injury Pack will be contained in a water-resistant tear open pack to allow easy access in situations which require rapid response. 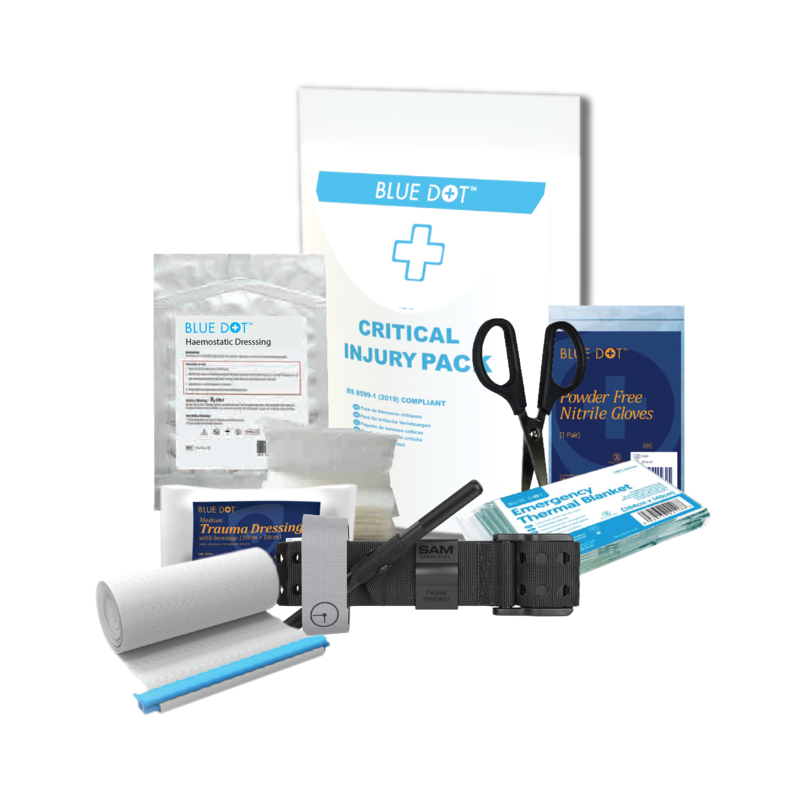 Where a high-risk situation is identified, the Critical Injury Pack can be added to existing first aid kits.